AT&T CEO Randall Stephenson confirmed at a meeting in Santa Clara, CA that Apple and AT&T will be releasing the iPhone on a 3G network next year. AS to when exactly there was no word. The current Apple iPhone in the US runs on the AT&T network and is not capable of 3G connectivity yet. The iPhone, whose most outstanding featureis its internet connectivity, relies on EDGE technology. However, EDGE is not the latest nor the fastest of mobile data technologies which renders the iPhone underpowered for its features. 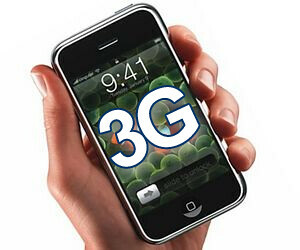 Apple did not release 3G iPhones initially due to problems theey had with battery life. Apparently, the iPhone itself already consumes too much power that if a 3G iPhone were to run on the current batteries, it would only last a few hours. Though many conspiracy theorists suggest that Apple did not release a 3G iPhone yet so they can have more sales when they actually do. Regardless, Stephenson’s announcement now gives the public a lot to expect in 2008. He also said that Steve Jobs "will dictate what the price of the phone is.” Which we all expect to be higher than the current $399 2.5G version.